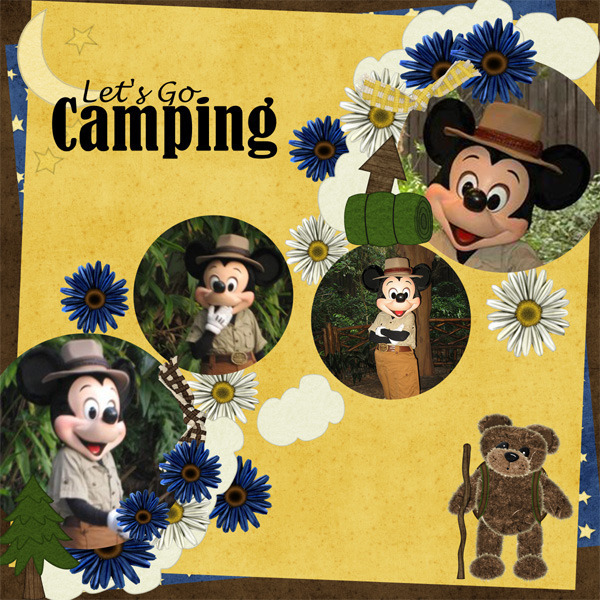 As the weather gets cooler, some might find this the perfect time to go camping. 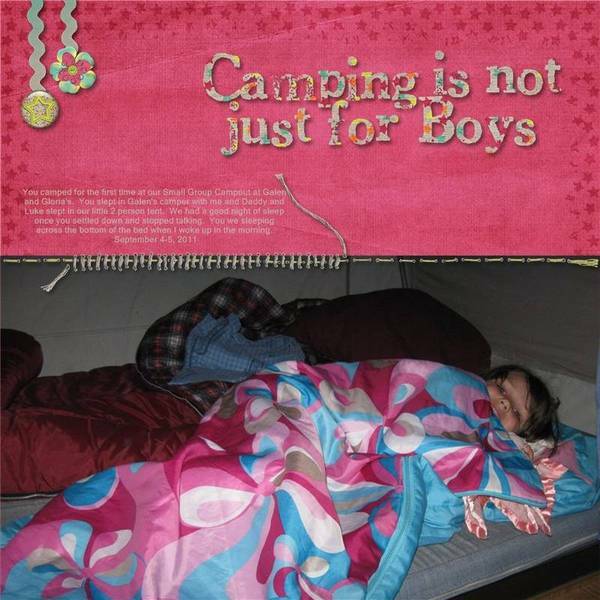 I...on the other hand, prefer camping in an RV, you know...with electricity & running water. 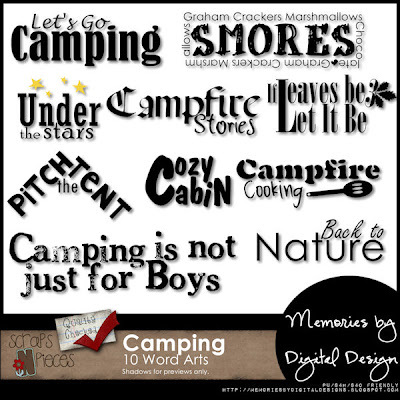 But for those who love it, I created this Camping Word Art pack. 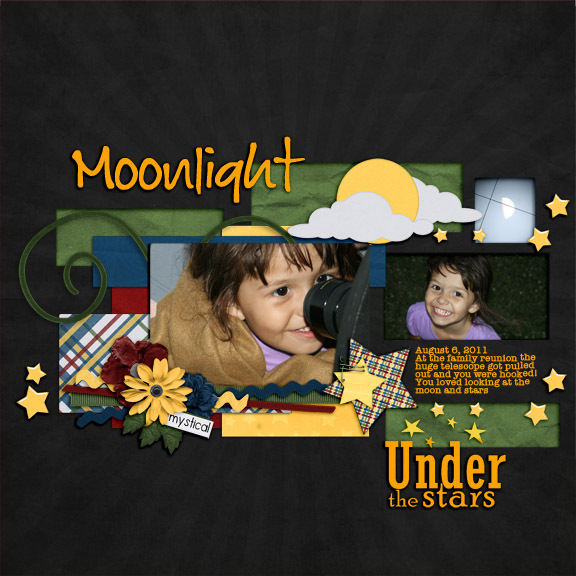 There are 10 WA files in .png format, and it's on sale today & tomorrow for $2.99. You know what kit would look great with my new word art? 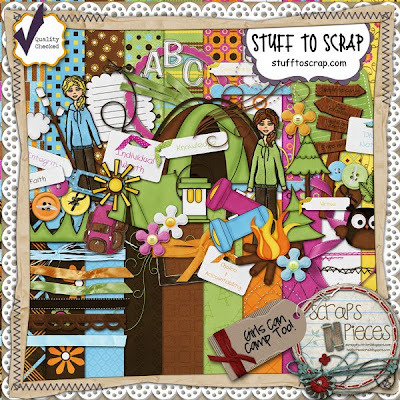 Scraps N' Pieces new kit Girls Can Camp Too. It's on sale for $3.50 at their store until Saturday. It's also available My Memories and Stuff to Scrap. 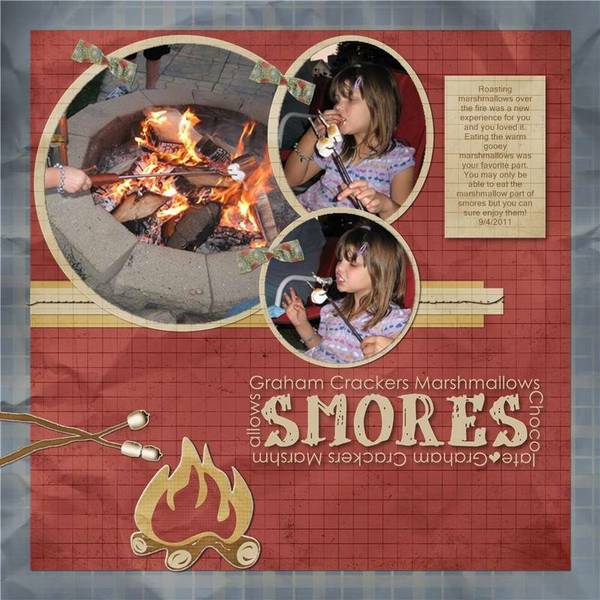 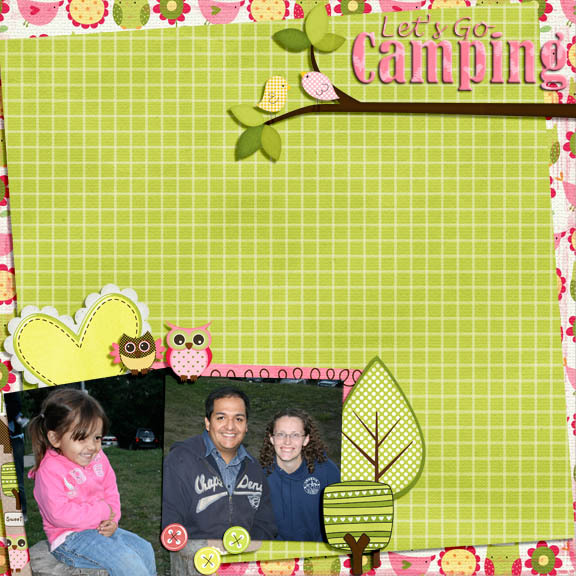 This is a layout I created using Girls Can Camp Too and my "Camping is not just for Boys" WA. 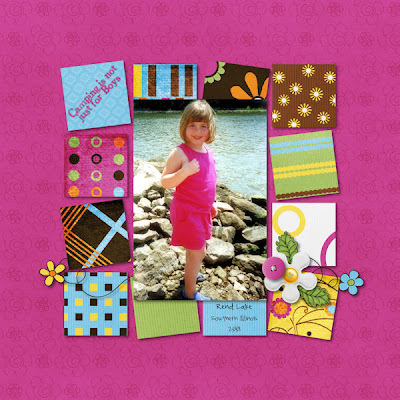 I created the next layout during a speed scraps also using GCCT. 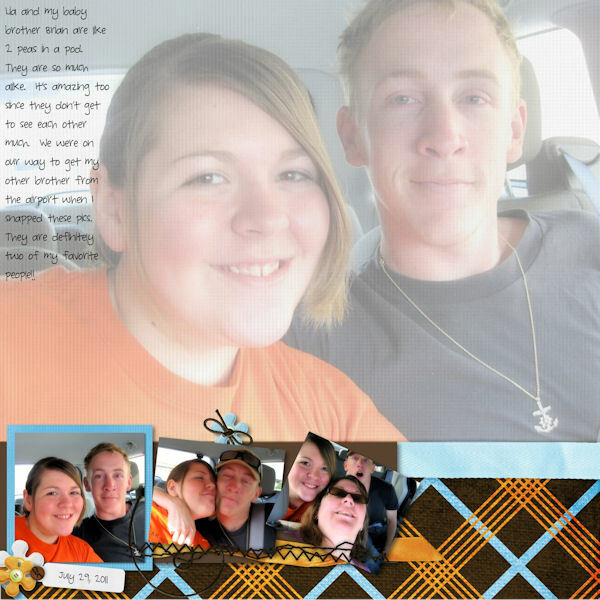 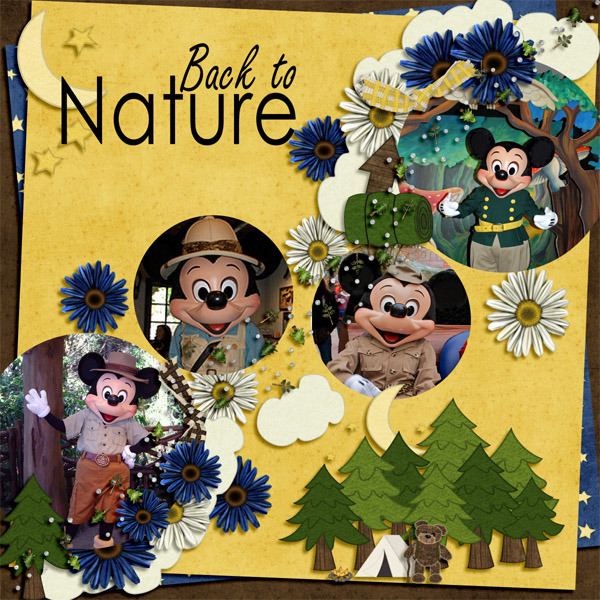 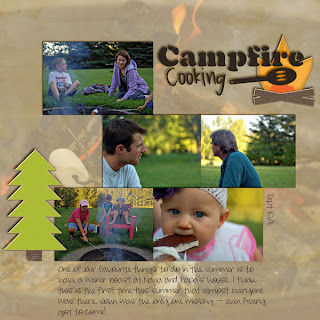 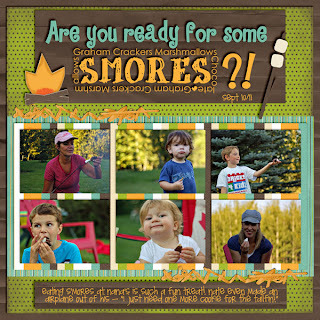 Here are some layouts my Creative Team created using the Camping Word Art pack. 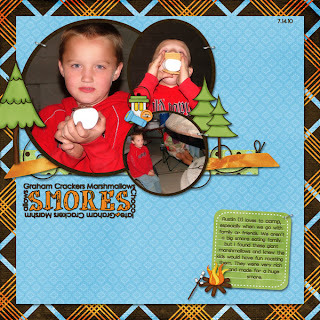 They used various kits of their choosing.